Did you just roll your eyes? Are you stressed just thinking about it? Let’s change the subject. How would you know Christmas is coming if you lived in Olancho? Christmas traditions around the world are as different as the Christians who celebrate the holiday. The beauty of the celebration though, wherever you are, comes back to rejoicing in the gift that is Jesus Christ. In Honduras, traditions vary from family to family. Below is a list of common Christmas happenings as described by one family in Olancho. Check out the list so you can spot signs of Christmas in Olancho and if there are any traditions you might like to adopt. “Huele como Navidad” (It smells like Christmas) – When you think of how Christmas smells, do you imagine pine trees and cinnamon-scented candles? Just me? If you are in Olancho and hear the phrase, “huele como Navidad,” the speaker is probably referring to the temperature rather than the smell in the air. Toward the end of November, temperatures in Olancho begin to drop. Of course we aren’t talking about ice and snow, but for a community acclimated to average low temperatures in the 70’s, a drop into the low 60’s or below means hats, gloves and sweaters. Radio and TV Advertisements – Did you think that only North Americans were blessed with the commercialism of Christmas [insert sarcasm here]? 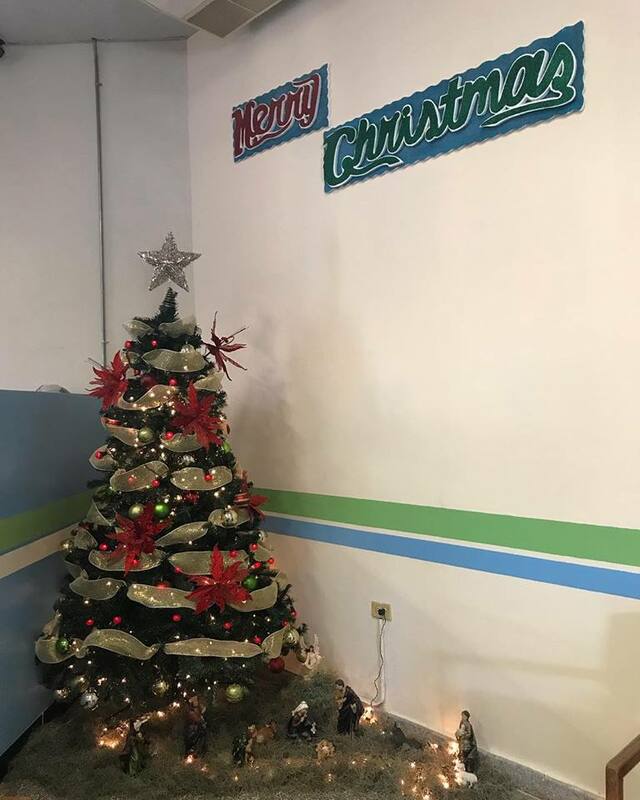 In Honduras, the music, advertisements, and store displays may not start quite as early as they do in the United States or Canada but rest assured, by early December, Olanchanos are hearing about all the hot sales. Letter to Santa Under the Tree – Christmas trees are decorated in homes anytime between the first of December and a week before Christmas. Once the trees are all set up, children know it is time to write their letter to Santa, filled with requests of toys, clothes, and games. They place the letter under the tree and there it stays until Santa arrives on Christmas Eve. Las Posadas – Beginning on December 16th and taking place through the 24th, children lead a procession where they go from home to home “looking for shelter” in a reenactment of the difficult journey Mary and Joseph traveled to Bethlehem. This tradition is in preparation for the holiday and acts as a reminder that though it is a joyful celebration, the road was not easy. Nacatamales – By December 23rd, families have begun their preparations for a big Christmas dinner. That dinner would not be complete without nacatamales. Nacatamales are similar to a Mexican tamale you might be familiar with – they are made from a corn meal dough. However, they are more moist and are stuffed with a filling that might include chicken or pork, rice, olives, potatoes, peas, and raisins. The dough is wrapped in a plantain leaf and boiled or steamed. Pulpa – In more affluent homes, a roasted turkey or leg of pork is common. Pulpa is a preparation where the pork is stuffed with ground meat and potatoes. Apples & Grapes – During December, apples and grapes are very common as small gifts and are staples for Christmas dinner. Celebrating on the 24th – Many families cook all day, then go to church on the evening of the 24th and return home with everyone for a late Christmas dinner that sometimes doesn’t start until 10pm or later. Santa usually stops by earlier that day and children open gifts at night. Fireworks – At midnight on December 24th, families go into the streets together to set off fireworks in celebration of the birth of Christ. December 25th – Christmas Day is a day to relax and spend time with family, or even just to stay in bed. No one cooks on the 25th, but instead enjoys leftovers from the night before. 11. Burn the Old Year With a “Maniquí”– In order to say goodbye to the old year and any of the difficult moments that came with it, its customary to make a maniquí (mannequin) that resembles someone who has wronged the country in the past year, oftentimes a politician. The mannequins are made of newspaper and other materials, then filled with fireworks. When the clock strikes 12 on New Years Eve, folks take to the streets to burn the mannequin, representing the old year, and hoping for a good start to the new one. We wish you a blessed and merry Christmas from Olancho.